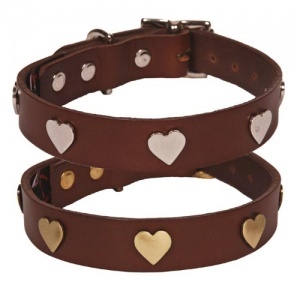 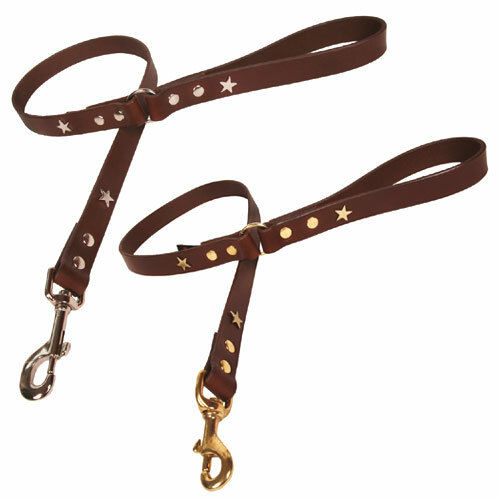 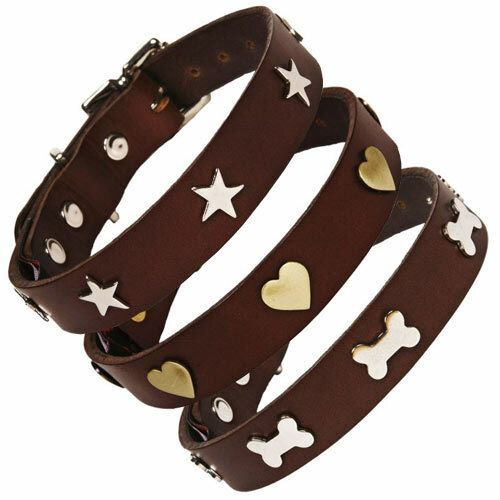 Studded brown leather dog collar, UK handmade and designed by Creature Clothes in their Surrey workshop. 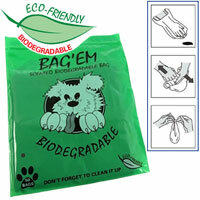 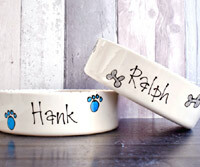 Designed with the dog in mind, are really are something special. 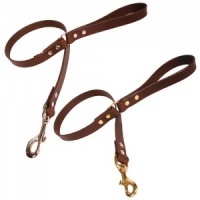 The finest quality Spanish saddle leather is dyed throughout and wears in beautifully. 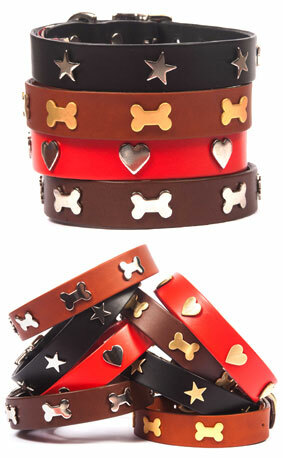 The colour will not scratch off, but will deepen with age. 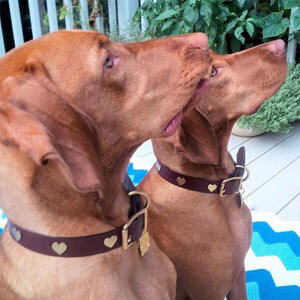 No hard edges against your dog's neck and each of these leather dog collars is treated with Neatsfoot Oil to protect it. 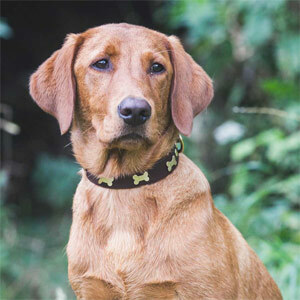 Founded in 1999 by designer Cosima Pole, Creature Clothes was one of the original makers of quality unique dog accessories in the UK at that time. 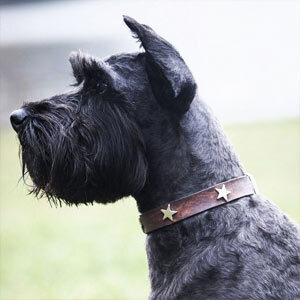 Their ethos is beautiful design and quality UK manufacture. 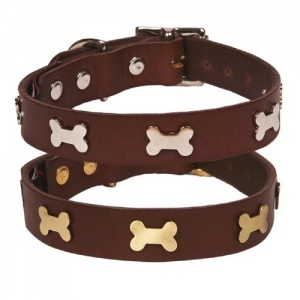 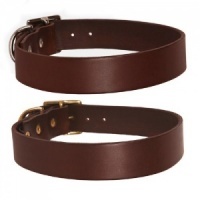 This collar is a classic rich brown with individually hand riveted nickel or brass studs and quality matching furniture. 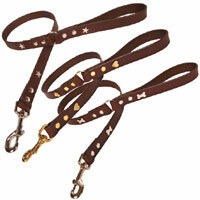 Matching dog leads also available. 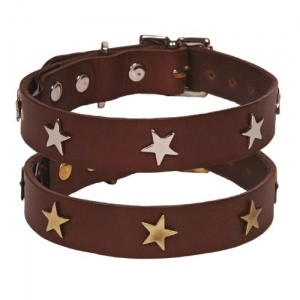 Beautifully well made leather collar that looks very stylish on my chocolate lab.